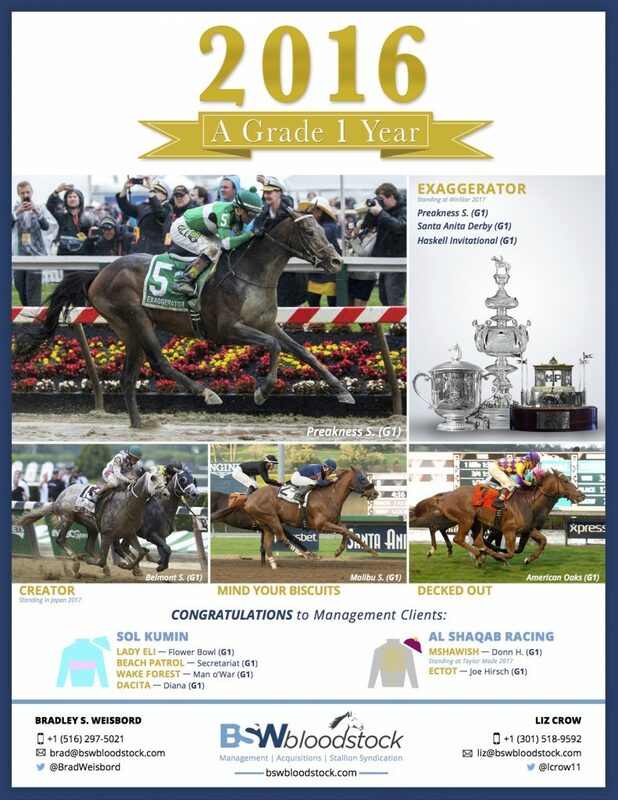 2016 was a breakout year for BSW Bloodstock and clients. 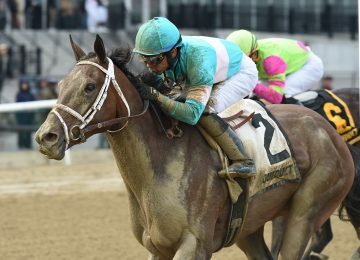 The year began with BSW managed Mshawish winning the G1 Donn Handicap and Sandiva winning the G3 Marshua’s River at Gulfstream Park for Al Shaqab Racing and trainer Todd Pletcher. Exaggerator was purchased privately in March of 2016 prior to his 3rd place effort in the G2 San Felipe. He went on to have a stellar year for Head Of Plains Partners, Big Chief Racing, LLC, and Rocker O Ranch, LLC. He retired to stud at WinStar Farm a deal that was brokered by BSW Bloodstock. 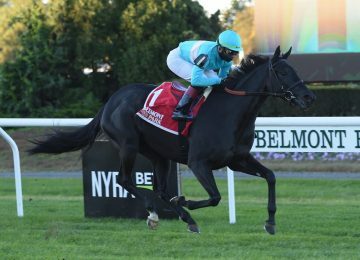 Creator was purchased privately on behalf of client Bobby Flay prior to the G1 Belmont Stakes. 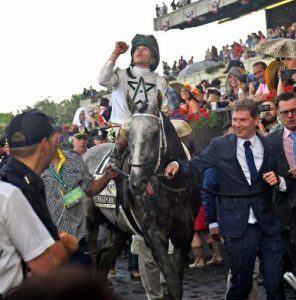 The G1 Arkansas Derby winner won the G1 Belmont Stakes by a nose over Destin giving BSW Bloodstock, Bobby Flay, and WinStar Farm a thrill of a lifetime. 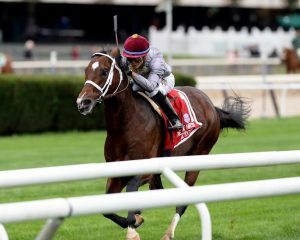 Al Shaqab’s banner year continued with a win by Ectot in the G1 Joe Hirsch Turf Classic at Belmont Park on October 1st. He won impressively by five lengths beating Champion Flintshire. This win was a great springboard into the Breeders Cup Championship weekend where BSW Bloodstock was fortunate enough to be involved with 8 Breeders Cup contenders. Breeders Cup Sprint – Mind Your Biscuits (3rd, promoted to 2nd) – BSW Bloodstock private purchase for Head Of Plains Partners and Michael E. Kisber. 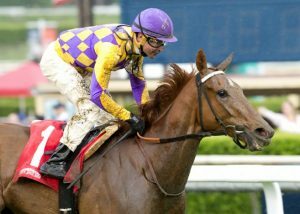 Breeders Cup Juvenile Turf – Channel Maker (7th) – BSW Bloodstock private purchase for owners Gary Barber and Wachtel Stables. Breeders Cup Juvenile Fillies Turf – Rymska (5th) – BSW Bloodstock private purchase on behalf of Sheep Pond Partners, Tom Coleman, and Norton Herrick. While we didn’t get lucky enough to make it to the winners circle with any of these efforts Mind Your Biscuits and Rymska both went on to win Graded Stakes out of those performances with several others primed for a big 2017. It was an honor to have so many color bearers in the 2016 Breeders Cup. The year was capped with two huge G1 wins at Santa Anita. 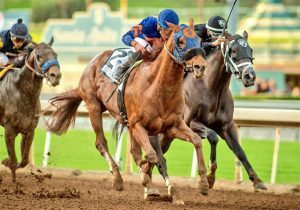 On December 26th Mind Your Biscuits beat a talented group of three-year-old colts to win the G1 Malibu Stakes. On the final day of 2016 Decked Out ran down Sassy Little Lila to take the G1 American Oaks. Both fillies are managed by BSW Bloodstock but Decked Out was a private purchase on behalf of Head Of Plains Partners, LLC. 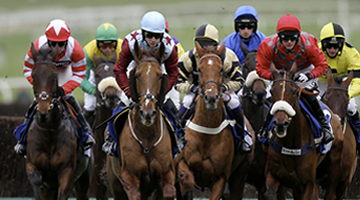 Congratulations to all of our clients, trainers, and jockeys on a fantastic 2016! Thank you for helping to make it happen.